It’s important for the Shine From Within team to give back to our community at large and worthy causes wherever and whenever we can. See below for some of the ways we do this. Since 2013 we have donated our time and resources to various causes. We have taught workshops at youth camps around Australia, for ‘youth at risk of disengaging’ at many Sunshine Coast schools, the United Synergies Get Set For Work program, Zig Zag Women’s Centre in Brisbane and the Sunshine Coast Youth Partnerships program for girls. Our Director, Amanda, also volunteers her time at a riding for the disabled school in Brisbane. The latest addition to the Shine From Within family, Lemonade is our Best Buddy! 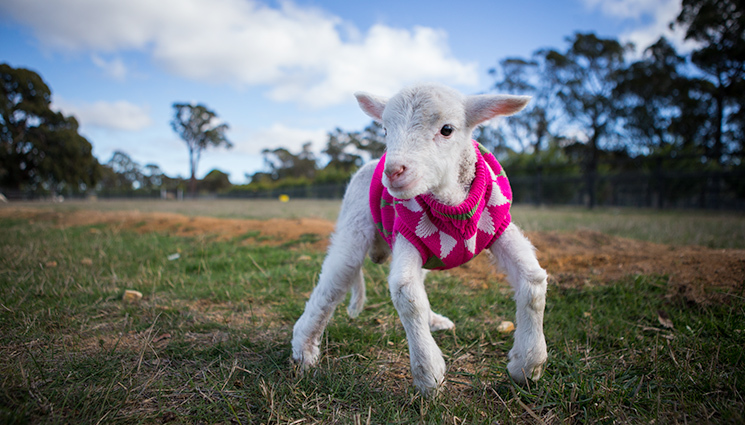 He’s a little lamb at Edgar’s Mission in Victoria, where they take care of his crippled legs and ensure he has a happy life. He’s a positive little dude who loves dressing up in lots of different jackets – our kind of lamb! Thanks to the enrolments in our courses, we are able to sponsor this little guy. 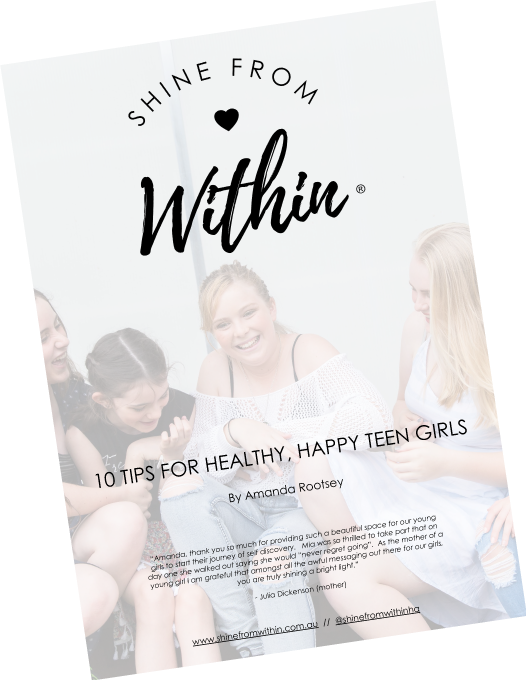 Our Director, Amanda Rootsey, has trained with the United Synergies’ mentoring program, which guides, supports and encourages youth on the Sunshine Coast. For a number of years, she met with a mentee each week on a volunteer basis and provided free workshops as requested, covering topics such as first impressions and job interview skills, for youth getting ready to enter the workforce. We have donated money to support SunnyKids so that they may help families and kids shine through programs and emergency accommodation. We provide scholarships and work experience opportunities on a case-by-case basis, please get in touch if you would like to apply.